When it comes to test equipment a hobbyist is often asking himself – should I invest in top of the line equipment or can I compromise and go with a mid-range or even low-end version ? It obviously depends on the budget you have. The truth is that not everyone has $300-$500 dollars to invest in a top-of-the-line multimeter. In this article I will review the Tenma 72-7740 Multimiter which aims to provide most of the functionality of an advanced multimeter , but at a lower price. So let’s see how well it does it. These specs are not the best you can get , but very reasonable for the price tag you pay (around $72 at element14). 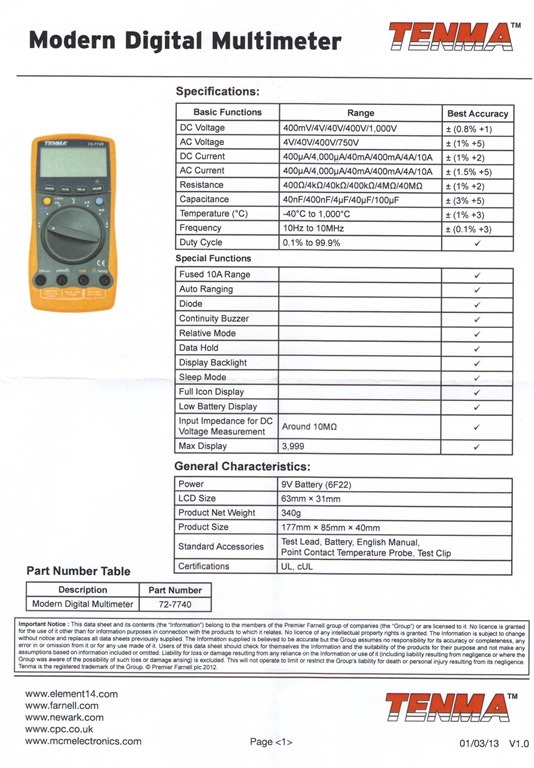 For instance a Fluke 87-V could give you a DC Accuracy of 0.05%+1 but at a much higher price tag. Next let’s go through some features of this millimeter and examine them in more detail. The box contents are: the multimeter, a set of probes (sharp ends and decent quality) , a temperature probe, the manual and the battery. The multimeter seems well build, no flimsy parts , the dial does not have well defined detents so it is actually possible to move it to a position between two points. The stand is solid an you can operate the dial and buttons with one hand while the multimeter is resting on stand. I tested the auto-ranging speed of this multimeter in Voltage mode and it seems to lock within 2 seconds – pretty impressive and much faster then I expected. The lack of a bargraph that you would find on a higher end multimeter is however a minus and you might miss some fluctuations that cannot be represented by the digit display. Other measurements such as Resistance and Capacitance seem to be slower to lock but still fairly fast. Perhaps 90% of measurements you do with a multimeter are voltage measurements. And this multimeter does it well and within specs – no complains here. If you don’t like the autoranging feature you can switch to a fixed range by pressing the “Range” button. Seems to be within specs, however if you touch the leads of the probes the multimeter will start with a value that seems to be the true resistance of the probes (~0.4Ohm) but then will slowly decrease to (0 Ohm). This seems to be a very odd behavior, perhaps some “clever” way to compensate for the resistance of the probes, but I would prefer it showing the true value of the leads resistance, rather then trying to compensate for it. If I would want to exclude the resistance of the leads , I could press the REL button while touching the leads, thus nulling out the leads’ resistance. In current mode this multimeter has a considerable internal resistance, this is particularly noticeable in the low-current ranges. So be aware if you measure small currents this multimeter might actually affect your current by as much as 10% based on my tests. Seems to be within specs, however while the rating of the multimeter is “up to 1000C”, the black insulation on the supplied probe will start to melt at about 300C – it seems to be a regular shrink wrap tube. So if you’re planning to measure anything near 1000C you will need a different probe. Seems to work well. I recommend pressing the REL button before measurement to compensate for the capacitance of the leads. One annoying fact about this multimeter but also others is the lack of the pico-farad range. Seems to work as advertised – a very useful feature if you don’t have an oscilloscope available for basic frequency/duty cycle measurement , however when I fed a certain round number frequency like 1000Hz from my frequency generator , it always seems to show one least significant digit lower like 999.9Hz. Since these are digital measurements I don’t think it is so hard to be spot on … especially on lower frequencies. The backlight is non-uniform, the diffuser seems to fail doing its job. The green color is very “retro”. However honestly, if I ever find myself using a multimeter in the dark I wouldn’t complain much as long as I can see the numbers . 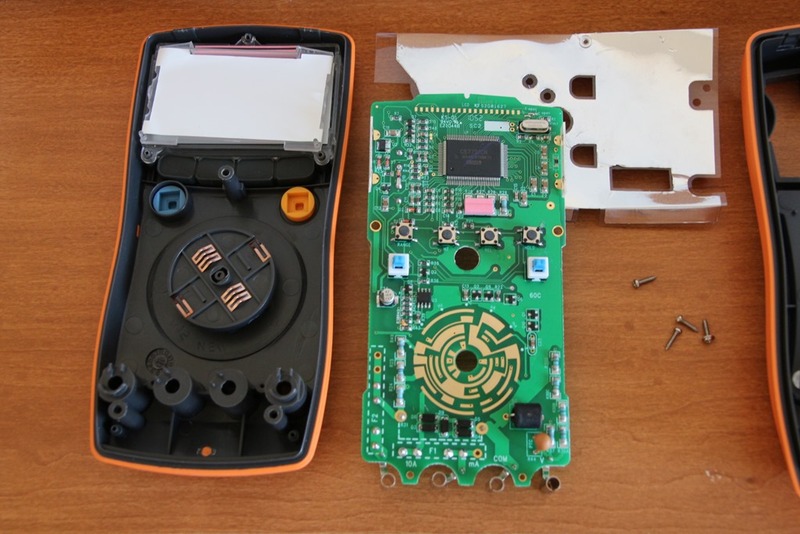 The multimeter is held together with two screws that are hidden behind the rubber feet. However to completely remove the cover you need to reach two plastic latches with a flat screwdriver on the other side. There’s a basic shield, that is basically a piece of foil laminated in plastic – not sure how effective it is especially because the shielding is only on one side. The screws are self-tapping type , no metal inserts. The buzzer is mounted on the cover and two springs on the PCB are used to make contact with the buzzer. 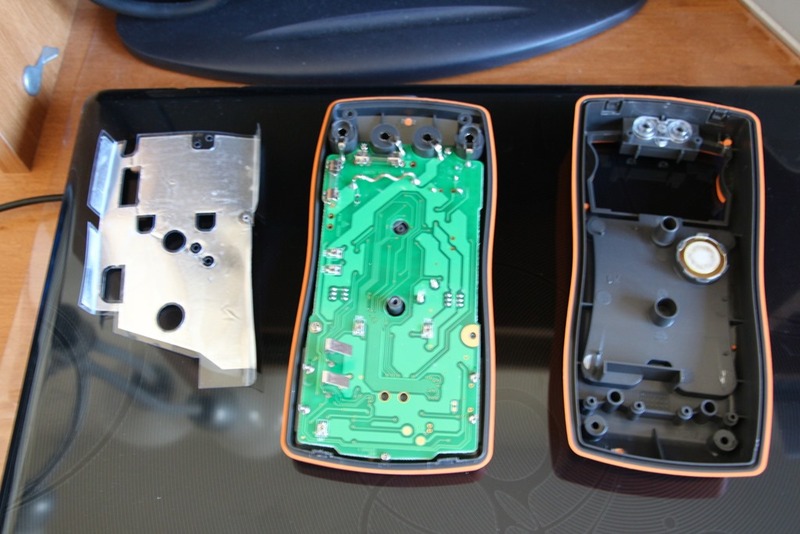 Input protection has two fuses – you need to remove the cover to replace them, it would be better if they were accessible from the battery compartment. There are no hanging wires – which is good , battery connectors are mounted on the PCB. The bottom part of the PCB has some calibration pots. The main processor is a CS7721CN (by SEMICO). I couldn’t find the datasheet for this chip however an interested reader could fish it out on Google with some more research. The other 8-pin chip is marked as 220Z3 , again couldn’t find any info on it but I suspect it is either an ADC or an op-amp chip. The assembly quality seems to be decent – mostly SMD parts. As you can see the input protection is very basic, no serious PCB isolation, or blast protection walls on the case. 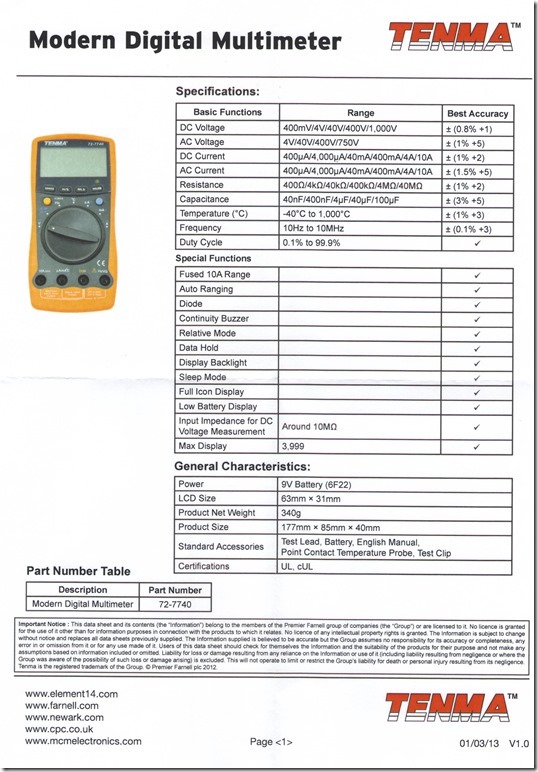 Although the multimeter is rated CAT IV 600V / CAT III 1000V, some might not be comfortable using it at such high voltages given the very basic input protection. 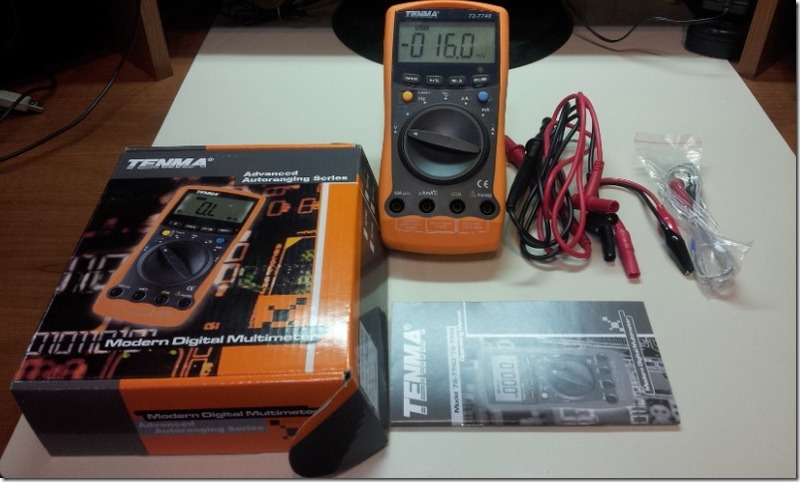 The Tenma 72-7740 is an affordable multimeter that has some advanced functions that can be found on higher end multimeters. It is a good compromise for those constrained by budget. It certainly does its job in the voltage measurements department, but some of the add-on features need some more refinement. Still a good value for the abundance of features that you get for the price. Many thanks to element14 for providing this sample for review. For the full line of digital multimeters that element14 has to offer please visit: http://www.newark.com/digital-multimeter. AD or DC or AC DC Support ..? Just checked – it has both AC/DC support for voltage and current. UPDATE: this is now officially my favorite multimeter, I got a precision 2.5V 0.05% voltage reference and tested it – it seems to be spot on (even better then specs). Not bad at all for the price. They seems good but I like the Fluke. Thanks for your review. 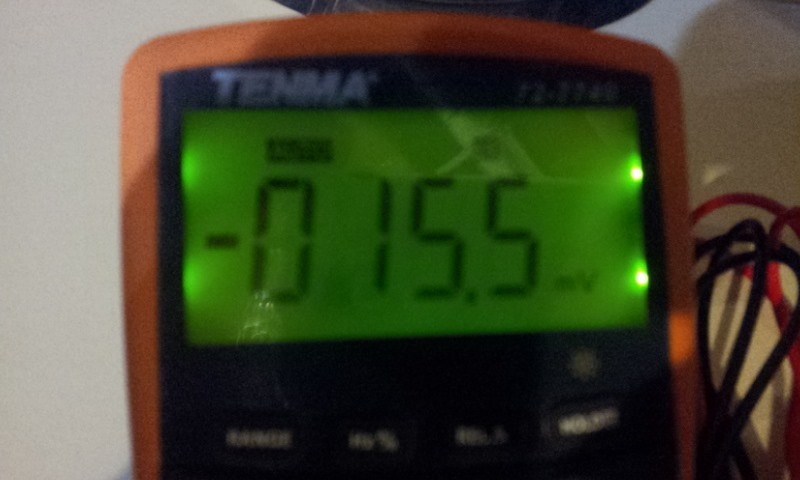 This is one of my favorite multimeters because it has AC/DC support for voltage. And you can use this smoothly. Thanks for your review.